Bank24 - Bank24 is one of the biggest financial comparison site in Sweden. 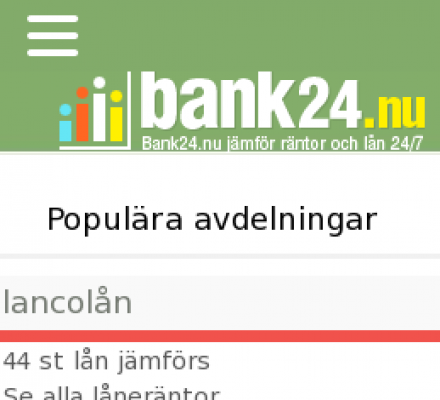 Bank24 is one of the biggest financial comparison site in Sweden. You can compare all kind of loans and credits. Bank24 have helped over 500 000 people in Sweden to get a better deal. Description: Bank24 offers a free comparison service where you can borrow money.